If there's one thing I've learned in this life, it's that you have to learn to live your life for you. One of the hardest things to do is to learn to forget what other people say and just solely focus on what you want and what you think. Whatever you're going through in life, you have to remember that the only voice or opinion that should matter is your own. The things that you want to achieve and want to set your mind on are all that you should care about and you should remember that people will always talk. But don't let their talk be the reason why you stop. 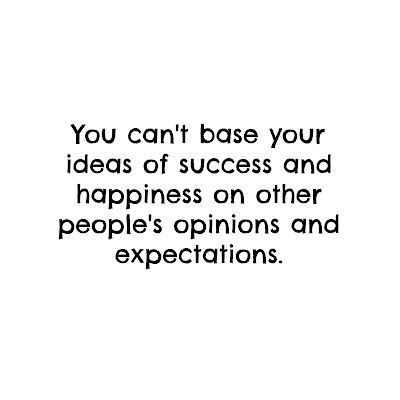 The only expectations that you should care about or let affect you are your own. I know it's easier said than done and it's so easy to get caught up in other's opinions, thoughts, he said she said, but you have to remember that what matters is deep down inside and the values you hold within yourself. If you went ahead and let everyone's ideas consume yours, you would be living for everyone else and in the end fall short of making yourself happy. Forget what other people think and feel like they have to say. As long as you're happy, then that's all that matters! Keep the tunnel vision going. Live and breathe your own ideas and your own expectations and remember to let go of everything else. 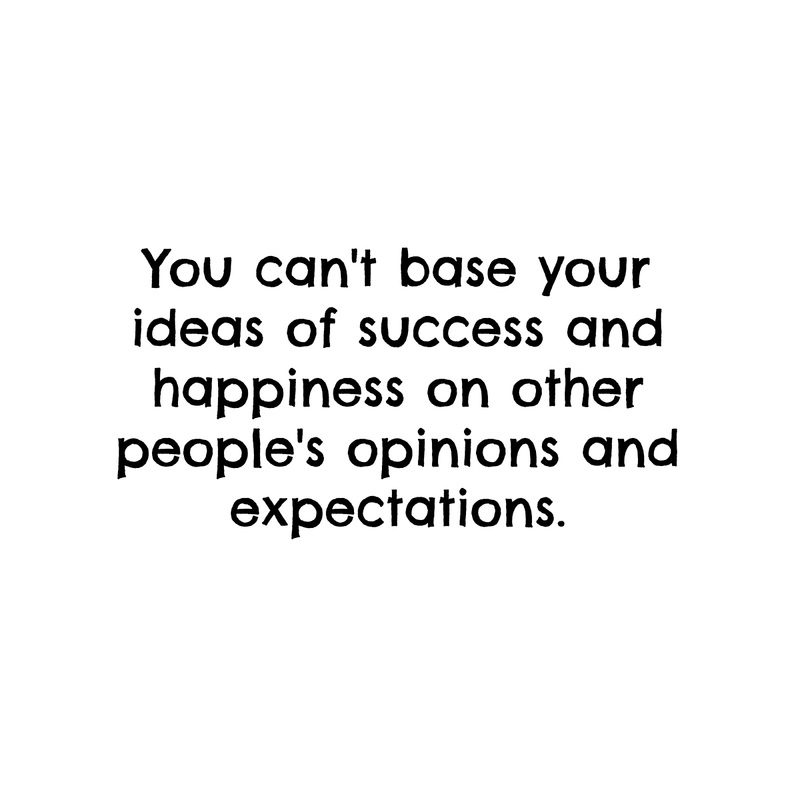 Other people's thoughts aren't going to be the ones that make you happy! You are responsible for your own happiness, so make sure that your opinion is the only one you care about!